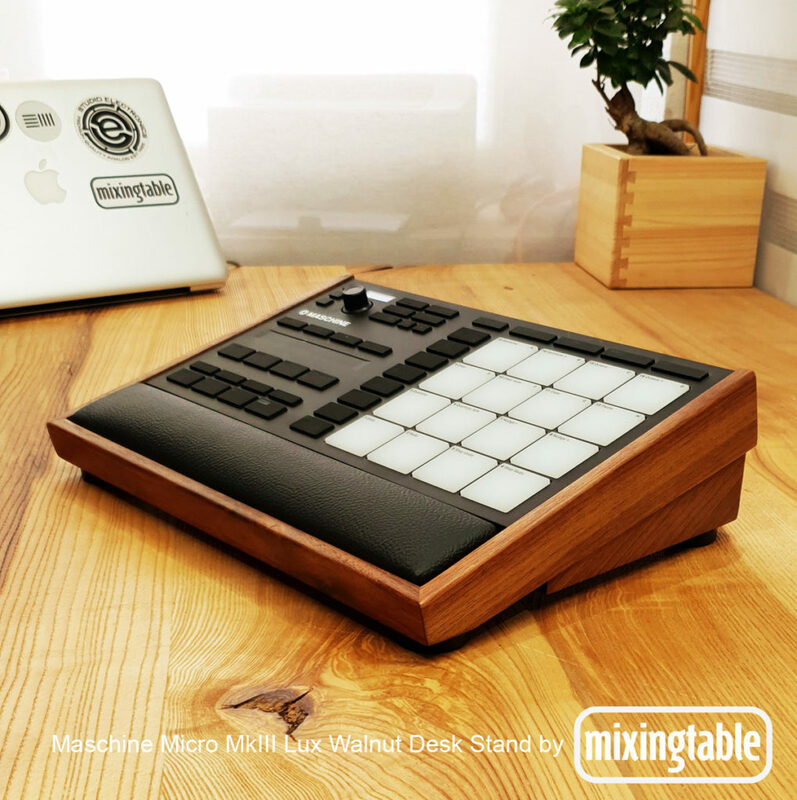 A Lux Desk Stand for Native Instruments Maschine Micro Mk3 by Mixingtable. Available to order in Solid Walnut, Mahogany or Oak. We make everything to order. Estimated shipping date 4 weeks from payment. €169,99 + €25 Euro shipping to any destination in EU or USA. For other destinations please email.